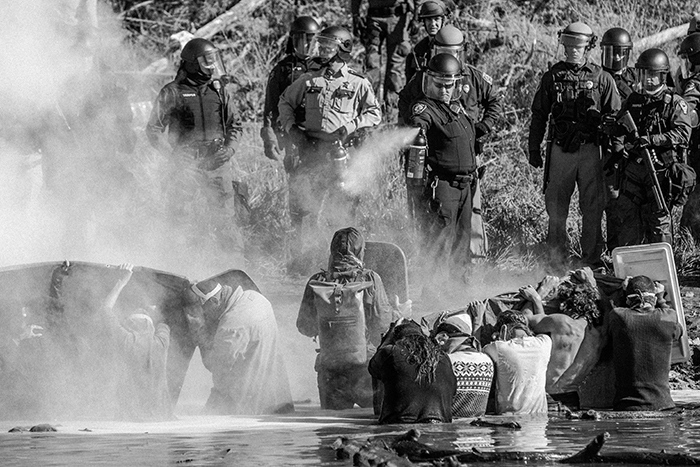 Police mace Water protectors. Cannon Ball, North Dakota. November, 2016. Josué Rivas, who has documented the Standing Rock Movement, was one of four jurors chose to withdraw from the Flash Forward jury because of lead sponsor TD Bank’s financing of the Dakota Access Pipeline. © Josué Rivas. Jurors for this yearâs Flash ForwardÂ emerging photographer competition have withdrawn in protest of the competitionâs major sponsor, TD Bank Group.